While in New York for a media run, Tech N9ne decided to drop in on XXL‘s Freshmen showcase and made a little Strange Music history with Hopsin at his side. 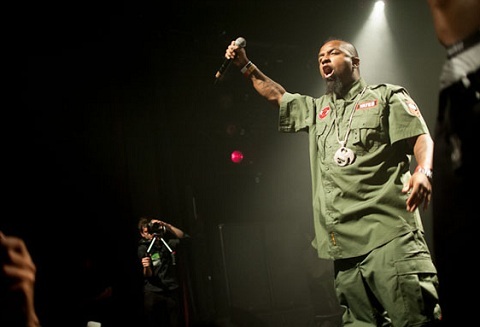 Fans may recall that Tech N9ne was in New York City recently filming for MTV2’s Hip Hop Squares. 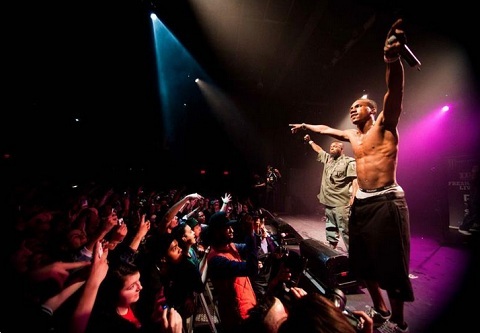 Coincidentally, Hopsin was also in town for the big XXL Freshmen tour wrap up that also included names like Roscoe Dash, French Montana, and Machine Gun Kelly, who is currently a part of the “Hostile Takeover 2012” Tour. The web exploded with chatter as news began spreading of Tech N9ne’s surprise appearance during Hopsin’s high energy performance. Giving fans in New York a special moment, both emcees then performed “Am I A Psycho?” for the first time ever! With only weeks left for “Am I A Psycho?” to climb BET’s 106 & Park countdown, Tech N9ne and Hopsin are making sure the hit collaboration stays in the spotlight. Will history repeat itself and give fans another chance to see Hopsin and Tech N9ne together? Stay tuned for more! Click here to read XXL‘s wrap up of the entire show. What do you think about Tech N9ne making a surprise appearance? Did you read about it on Facebook or Twitter?